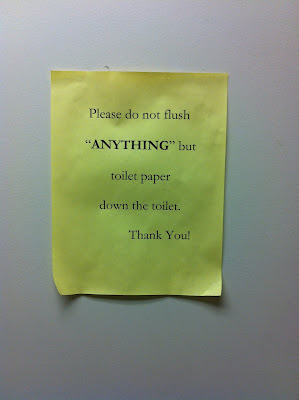 The “Blog” of “Unnecessary” Quotation Marks: don't flush "anything"
I guess your, ahem, excretions are excluded from the definition of "anything." Thanks, Maggie. 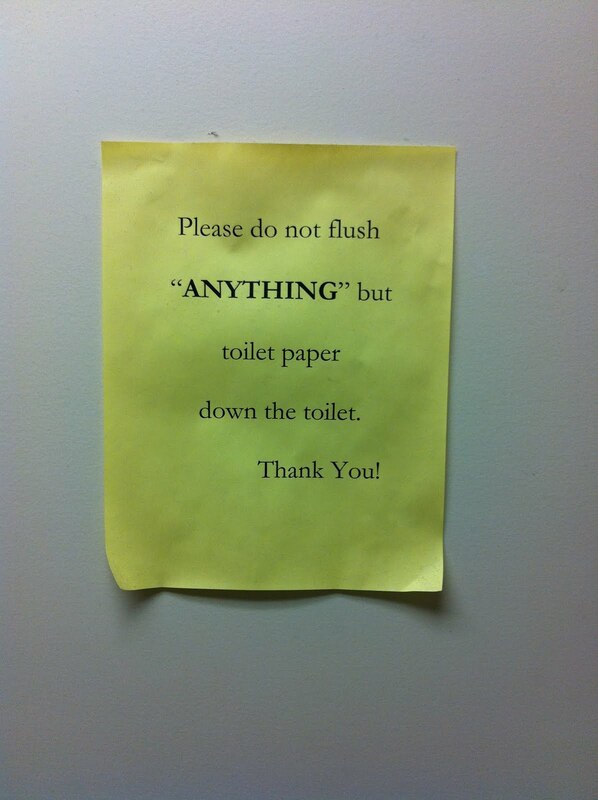 I don't even want to know where the, um, wastes are supposed to go.